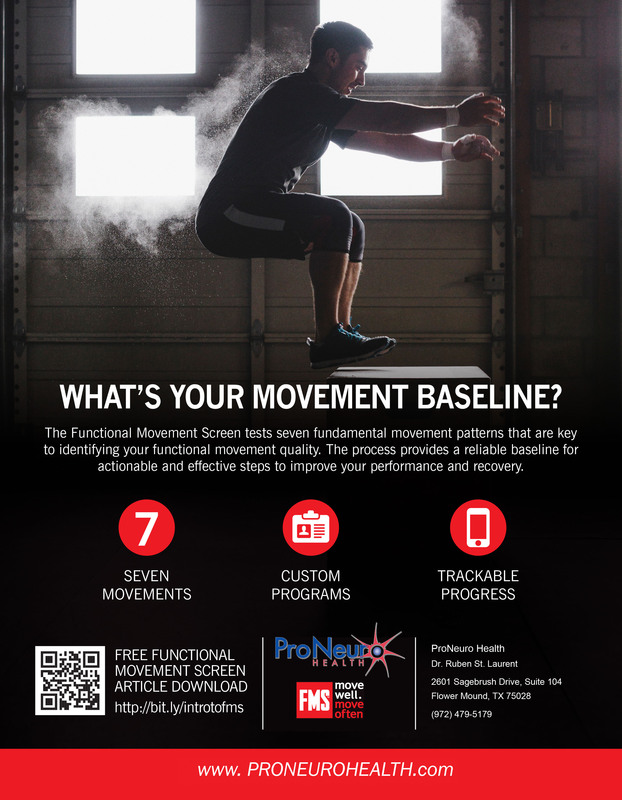 Functional movement screenings are for everyone. Student athletes can add a screening to their sports physical. All athletes will receive data and immediate, customized rehab or sports optimizing exercises to use with trainers, coaches, at home, and in our clinic. Talk to Dr. Ruben, your Flower Mound chiropractor, sports chiropractor, and functional neurologist.